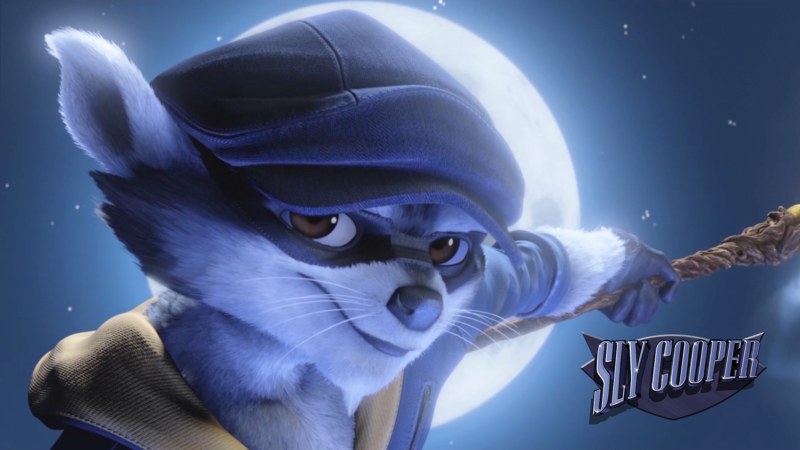 Today, we sat down with Dev Maden, one of the creators at Sony PlayStation behind their iconic franchise Sly Cooper, to talk about the new, hit TV show. With 5 games, 10 years of content, and over 6.5 million units sold, the brand was ready to take over the new medium. He discussed with us the teams’ desire to bring one of their most popular games to the small screen, Sly Cooper as a hero, and all the adventures coming next! How did Sly Cooper originate as a concept? The original idea started as a gag about a raccoon putting on a thief mask in front of a mirror getting ready to go out and commit a crime. It got a laugh and the ball started rolling from there- originally we were toying around with the idea of him as more of an exotic world traveling Jet Set Jewel thief, mixed in with a little James Bond but we really explored all kinds of crazy ideas including an over the top Jim Carrey type, laid back gentleman thief to swashbuckling outdoorsman. Could you tell us a little bit about the main character? Sly Cooper is master thief born into a long line of Master Thieves. He and his pals are off exploring the world searching for a special family heirloom called The Thievious Raccoonus that was stolen from him at an early age by an evil gang- an event which left him an orphan. It’s an instruction book of sorts that teaches him all of his family’s famous moves and secrets. It’s very valuable—and incredibly dangerous if it falls into the wrong hands. The only other family heirloom in Sly’s possession is his cane and family credo that he lives by: “To be a Master Thief, one would only steal from other Master Thieves”. Does Sly share any characteristics with other heroes? Sly is James Bond, Batman and Danny Ocean all rolled into one. He’s a good-hearted thief, who steals only to achieve justice. He is quick on his toes to escape just about any trap, spin on wires and rooftops high above the city and can pour on the charm to get away from the odd occasion he might allow himself to be captured from Detective Carmelita Fox. Are there other characters that compliment Sly on his adventures? Bentley: The brains of the Cooper Gang, Bentley plans the trio’s heists and oversees them with the precision of an air traffic controller. He’s a self-taught math and tech genius who can hack any computer system and crack any code. Although Bentley is confined to a wheelchair, it hasn’t affected his mobility in any way. Actually, it has—he’s now the fastest turtle out there. He designed and built the wheelchair himself, rigging it with awesome gadgets making him all the more powerful as his super-computing gadgets are now within immediate reach at all times. Murray: Murray’s main role in the Cooper Gang started as getaway driver, and he skillfully handles the wheel of his trusty van. He is a big excitable ball of energy with nowhere to go but with the best of intentions. He is Sly’s biggest fan- He wants to be Sly IN THE WORST WAY. He even got himself a blue shirt to dress like him. He’s got a huge heart, and he’s the guy who will do anything for his pals. What makes Sly unique in your point of view? Sly is a super cool daredevil, and looks super cool performing the daring feats. Most importantly though, he really values his friends and their friendship first. He knows that without them, he wouldn’t be able to do half the things he does without a genius plan by Bentley- let alone even get to the caper because Murray owns the van. Sly’s desire to right wrongs and sticks up for the little guy. He’s very protective of his friends as they’re his family. The heists they pull off are really about three great friends making their way in and around the world together having adventures. It’s pretty much the ultimate road trip. In your opinion, why do you think Sly has been such a great success, resonating with audiences the way it has? We really wanted Sly Cooper to be a game that was as much fun to WATCH as it was to PLAY. The team really put themselves into the game and there’s all kinds of things to discover and explore in each of the worlds off the main path of a game mission. The levels themselves start in a pretty literal location to establish ‘ground rules’ but as you get further along, the locations slowly get more fantastical and imaginative. Players can and do get lost in these worlds and characters. I also believe what has kept Sly resonating with people is that while it may look like a simple and colorful show for kids at a first glance, there are some deeper issues to friendship that the guys deal with: the idea of loss, sacrifice, revenge, romance to name a few. These are things that a younger player might not immediately understand while playing the game, and in some cases even challenge them, but because of that, I think it’s something that stays with them and as they get older, return to and appreciate on a completely different level. At its heart the Sly Cooper gang is about creating lifelong relationships and having crazy adventures with your pals. Technicolor will be adapting Sly to the small screen. Could you tell us how the relationship began between Technicolor and PlayStation? PlayStation has a longstanding relationship with Technicolor. When internal discussions about the creation of an animated series started to become a reality, partnering with Technicolor was an easy choice. They are the co-producers behind the megahits Alvinnn!!! & the Chipmunks, which is now airing in over 150 territories with #1 ratings, and Monchhichi, the new TV show based on the classic Japanese figures, over 100 million of which have been sold worldwide. Of all the PlayStation franchises, why was Sly the most attractive? Sly is one of the most beloved character-based franchises in our portfolio. Generations of gamers are familiar with Sly and his trusty sidekicks, the villains they encounter, and the rich environments in which they live and act. The amazing visuals in the game also made for a smooth transition to the television screen – the show reflects the same visual appeal as did the game in its various neighborhood settings. Next »	Monchhichi Gets Greenlit for Season 2!